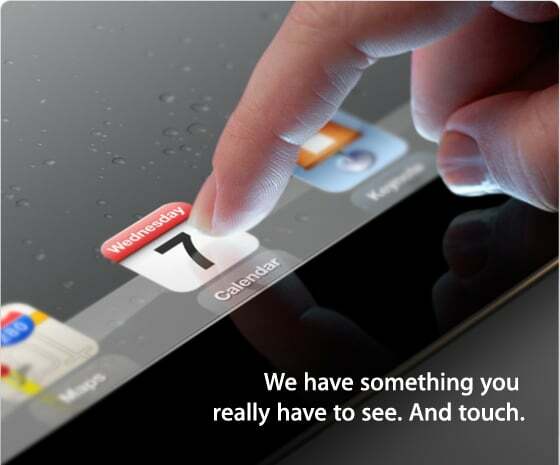 The image of the iPad above is likely the first image of the iPad 3 we have seen. The resolution of the iPad in the image looks higher than the resolution of the iPad 2 and first-gen iPad. After all, it looks like the rumor about the iPad 3 reported by AppleDaily last week is true. The report has the same date for the announcement — which was rumored to be March 7th. They also said that the iPad 3 will have a 8 megalpixels camera, quad-core CPU, and is expected to launch with iOS 5.1. Those rumored expect are great. I hope that AppleDaily gets the specs right as well.